The Freedom Forum Institute’s Power Shift Project has released a report on Power Shift Summit 2.0 which brought together more than 100 editors, reporters and experts to assess what’s changed since revelations of sexual harassment rocked the media industry. The report, “Power Shift Summit 2.0: #MeToo and the Media One Year Later,” based on the Jan. 15 summit, highlights innovative changes in anti-harassment and workplace culture training, intentional efforts to recruit, promote and retain women and people of color, and a growing focus on safety and security in the field and online, where women and minorities are often viciously targeted. The Freedom Forum Institute, the programs and education partner of the Newseum, launched the Power Shift Project as an industry-wide initiative to improve the quality and future of journalism by creating workplaces free of harassment and discrimination and full of opportunity, especially for those who have traditionally been denied it. Power Shift Summit 2.0 addressed critical concerns about the intersection of harassment and discrimination. Power Shift Summit 2.0 addressed critical concerns about the intersection of harassment and discrimination. The underrepresentation of women and lack of diversity at all levels of media organizations continues; this inequity fuels the problems of sexual misconduct and discrimination. Participants noted that traditions and assumptions run deep. Bias in hiring and promotion continues to harm women and minorities. Creating better workplace cultures requires moving from a “compliance” approach to an “integrity” approach where daily behaviors match strong values. 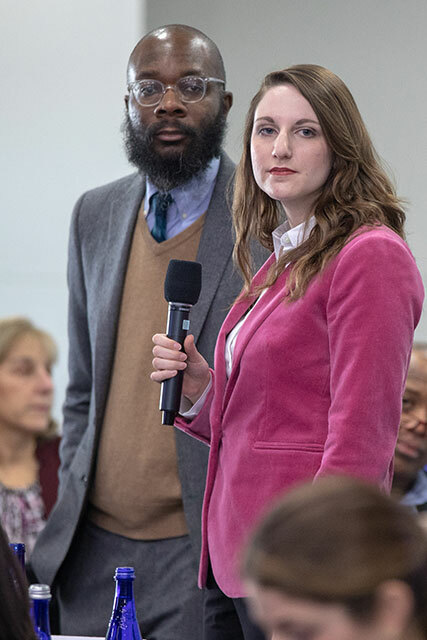 The Assignment Desk session at the summit focused on the many stories of sexual misconduct and discrimination which still need to be told through the lens of journalists who have broken stories and other experts in the room. Ideas and resources about under-covered stories across all industries are available here. To address concerns about newsroom culture, the Power Shift Project has launched the Workplace Integrity curriculum as a unique training tool for media organizations. Workplace Integrity “Train the Trainers” workshops, led by Jill Geisler, are available to individuals in the news industry and related journalism educational organizations who will deliver the training in their own organizations. Thanks to a grant from CBS Corp., qualified applicants receive underwritten tuition and travel support to attend the workshops. Follow the Power Shift Project on Facebook and on Twitter for the latest updates. Clips from the program can be watched here, or explore the live blog and photos here. 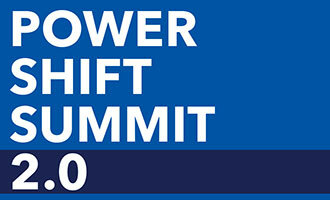 This entry was posted in News and tagged Power Shift, Power Shift Project, Power Shift Summit, Power Shift Summit 2.0 by Power Shift Project. Bookmark the permalink.